Back in January, House Republicans were working behind the scenes on a more incremental approach to ditching President Obama's health-care law than the single bill the Senate is considering right now. Speaker Paul D. Ryan (R-Wis.) wanted to bring a measure to the floor in February or March that would erase big parts of the law -- but delay it for another two or three years, giving Republicans time to come up with a separate replacement. The idea was to vote as quickly as possible to repeal the ACA, thus fulfilling their long-standing campaign promise, and soon after figure out what to replace it with. But those plans soon began to unravel, as Trump undermined the approach with his comments, and as both conservative and moderate senators raised alarms about abruptly erasing Obamacare's subsidies and Medicaid expansion that Americans have come to rely on for their insurance coverage. And health policy experts rightly warned that the individual insurance market could collapse if Congress repealed the ACA without giving insurers certainty about what new law would fill the void. One member against the repeal-then-replace strategy was Sen. Rand Paul (R-Ky.), who is now joining Trump in urging a return to a two-step process. In multiple television appearances in January, the Kentucky Republican pressured his colleagues to refrain from repealing Obamacare until they could also replace it. Paul even acknowledged he and his GOP colleagues would be blamed for failures in the individual insurance market if they didn't offer a solution concurrently. 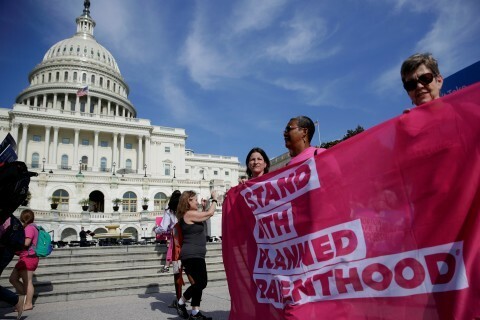 "If Congress fails to vote on a replacement at the same time as repeal, the repealers risk assuming the blame for the continued unraveling of Obamacare," Paul wrote for the website Rare. "For mark my words, Obamacare will continue to unravel and wreak havoc for years to come." "Let's do clean repeal like we promised," Paul said yesterday on "Fox News Sunday. "I think you can get 52 Republicans for clean repeal...you can have a simultaneous bill or a concurrent bill that they can call replace and that, I think, perhaps if its big spending, they could probably get Democrats to go along with big spending." On Friday, Sasse had sent a letter to Trump advocating that Congress vote on a bill ditching as much of the law as possible, if senators aren't able to agree on a replacement by July 10. Then Congress should cancel August recess and work six days a week until the situation is resolved, Sasse wrote. Yesterday on CNN's "State of the Union" Sasse again called for an immediate vote on repealing the ACA but with a delay, so no one is "thrown off coverage." 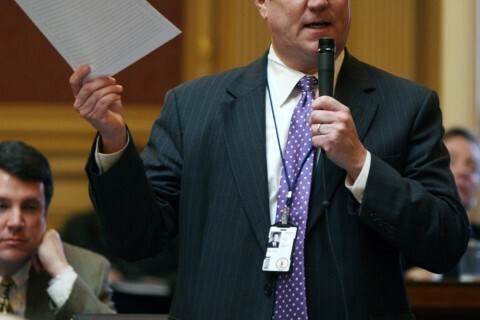 And Lee said that at this point, it would be easier to get repealing the law out of the way and then pass a replacement on a "step by step" basis. "Sometimes when you put too many things into one piece of legislation, you doom its likelihood of success," the Utah Republican said on CBS' "Face the Nation." Were Republicans to pass a narrower bill only repealing the ACA, it could cost more than 20 million Americans the coverage they've gained under the law and propel the individual insurance market into a spiral of increasingly higher premiums and insurer exits. Many Republicans in leadership recognize this, which is why the House and Senate bills seek to revise the subsidies and provide funding for state high-risk pools (although those bills too would result in more people uninsured). Even Trump's appointees seem to understand you can't just repeal a law touching 5.8 percent of the economy with nothing to fill its place. Health and Human Services Secretary Tom Price responded with "no" when asked on NBC's "Meet the Press" whether repeal-then-replace is the White House's new strategy. 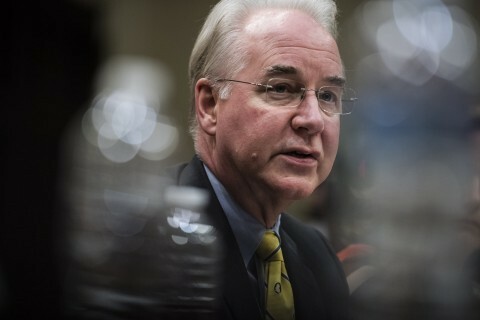 "No, we don't think so," Price told host Chuck Todd. "We think Leader McConnell and his senators within the Senate are working to try to get this piece of legislation on track, so we look forward to hopefully coming back after this July 4 recess and getting the work done." AHH: The Senate health-care bill would enact deep Medicaid cuts starting three years from now and getting even deeper in 2026. But Congress might never actually let those cuts happen, Politico's Jen Haberkorn and Rachana Pradhan report. Instead, they might become another Washington fiscal cliff, where lawmakers go to the brink of radical spending changes only to pull back at the last minute. Congress can’t stop its successors from changing the laws it passes -- and there’s plenty of precedent for postponing pain and avoiding political liability. "One of the most notorious examples was the decade-plus “doc fix” fiasco, in which Congress repeatedly found money to avoid automatic cuts to doctors’ Medicare reimbursements mandated by the 1997 Balanced Budget Act," Jen and Rachana write. "Facing other 'cliffs,' Congress has repeatedly prevented rules that bar many tax breaks from hitting the middle class...The Senate health care bill, if it becomes law, would set in motion a massive rollback of Medicaid funding beginning in three years. But even some Republican supporters acknowledge the full cuts might never happen." “Sometimes my party asks too much,” Kasich told ABC’s “This Week," saying he and others would not be fooled by “efforts to try to buy people off” with little fixes to the Senate bill to increase spending to combat opioid addiction or give more financial support to low-income people seeking health coverage. And the bill's funding for combating opioid addiction -- which senators are pumping up in a revision to the legislation -- is "anemic," Kasich added. "It's like — as I said to Sen. Portman at one point, it's like spitting in the ocean," he said. "It's not enough." OUCH: Trump has caused even more than the usual stir around the Twitterverse lately, with his tweets attacking Morning Joe's Mika Brzezinski and another one over the weekend taking aim (literally) at CNN. --Even some allies of Trump are questioning whether he has effectively used the bully pulpit afforded by his office and are increasingly frustrated by distractions of his own making, The Post's John Wagner writes. Trump has spoken out repeatedly about the shortcomings of Obamacare -- which he brands a “disaster" -- but he has made relatively little effort to detail for the public why the unpopular Republican replacement plans would improve on President Obama's signature initiative. "The lackluster sales job, combined with recent controversial tweets and public statements targeting the media, has diminished the focus on the president’s leading legislative priority at a key juncture in the Senate, allies and analysts say," John writes. 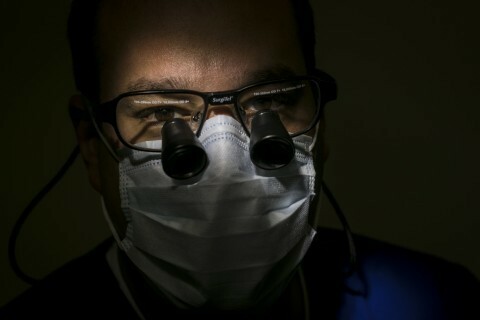 "Trump’s public efforts to dismantle the health-care law, however, contrast sharply with President Barack Obama’s efforts to build support in advance of its 2010 passage. Obama gave a joint address to Congress on health care. He fielded questions at town hall meetings around the country. And he even bantered on live television with hostile lawmakers at a Republican retreat." "Trump’s seeming ambivalence about selling the GOP plan may reflect that he has always been more animated about getting rid of Obamacare than he has been about what should replace it," John continues. "To the degree he has discussed what the American health-care system should look like, Trump has talked about 'insurance for everybody' and coverage that would be 'much less expensive and much better' — standards that the bills produced by the House and Senate don’t come close to achieving, according to analyses." 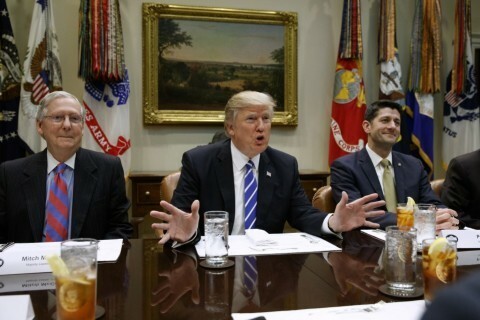 Top officials say the president made weekend calls to rally support for pending GOP Senate bill. How Trump's "insurance for everybody" turned into 22 million people losing coverage. --Senate Majority Leader Mitch McConnell has shipped off to the Congressional Budget Office some possible revisions to his health-care bill, with the aim of having a final score on a final bill that his conference could pass later this month. But all of this is shaky -- very, very shaky. Republicans headed home to their July 4 recess with a growing anxiety that they're going back to their constituents with little to show them, my colleagues Juliet Eilperin, Kelsey Snell and Sean Sullivan write. “If you wish to chant and stop others from being able to speak or be heard, that is not civil,” Cassidy retorted. Cassidy refused to defend how the health-care bill was written behind closed doors. "I do not defend the process. I don't. I just don't," he said, according to the AP. The senator, who is a doctor by profession, also said he wasn't sure what the final draft of the legislation might look like. "I am doing my best to make sure that we continue coverage, care for those with preexisting conditions, eliminate mandates and lower premiums," Cassidy said. --Meanwhile, liberal groups are using the congressional recess to build opposition, hoping that tens of thousands of phone calls, emails and in-person pushes will force on-the-fence senators to reject the legislation for good, my colleagues Ed O'Keefe and Dave Weigel report. "The fresh activism is coming with encouragement from Democratic lawmakers who are mired in the minority and have been mostly left to watch as Republicans struggle to reshape the nation’s laws to their liking," Ed and Dave write. "After starting the year on the defensive with their own base, party leaders and House and Senate Democrats are finally taking cues from these groups, believing that tactics honed far outside Washington could help scare Republicans into abandoning long-standing promises to upend the Affordable Care Act." White House senior adviser Kellyanne Conway recently made a similar claim on ABC’s “This Week”: “These are not cuts to Medicaid. 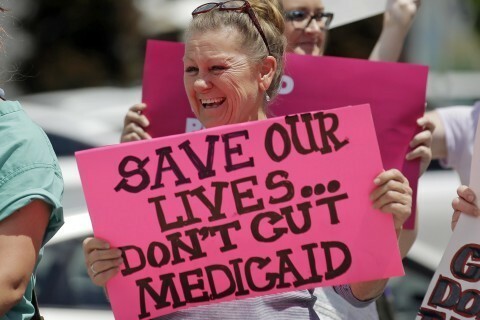 … This slows the rate for the future and it allows governors more flexibility with Medicaid dollars because they’re closest to the people in need," she said. So what's the deal? Post fact-checker Michelle Ye Hee Lee explains. The facts: In 2017, the federal government spent $393 billion on Medicaid. If no change is made to the current law, that spending is expected to be $624 billion by 2026. But things would change under the Senate bill. Instead of Medicaid spending growing to $624 billion by 2026, it would be $464 billion — a difference of $160 billion in 2026. This means a reduction of $772 billion over 10 years, from 2017 to 2026. Spending still increases, but at a much slower rate than under current law. Based on the way the CBO analyzes legislation, this would be considered a cut in federal spending relative to current projections. Think of it this way: Say your employer told you that your salary will go up every year by 2.5 percent to account for inflation. But instead, you get a 0.5 percent increase, even though the cost of your living expenses increases 2.5 percent with inflation. You can call that a “reduction,” a “cut,” or a “slow rate of growth,” but ultimately, you have less money than you would otherwise. The verdict: Strictly speaking, it's true the federal government would continue spending more on Medicaid every year under the GOP health-care bill. But the way Trump tweets about it is misleading, Michelle concludes. "It’s just one part of the picture that omits the fact that if the Senate bill as written by the date of his tweet becomes law, federal spending would be reduced by $772 billion over 10 years, according to the nonpartisan Congressional Budget Office," she writes. "Moreover, 15 million fewer people would be enrolled in the program over 10 years than would be under current law." Before drug companies invest in rare diseases, they want to see strong science. So, increasingly, patients are raising money online to subsidize research. Supplemental benefits for millions of recipients, many of them disabled, would be at risk under Republican proposals to repeal the Affordable Care Act. 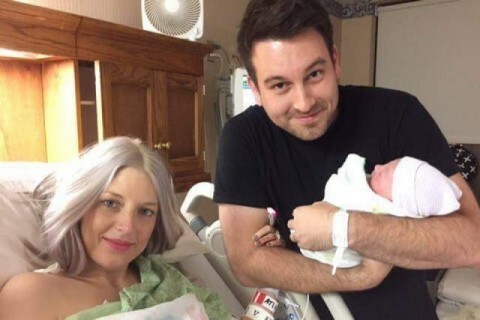 Megan Johnson, who had a heart transplant seven years ago, died of unknown complications after giving birth. 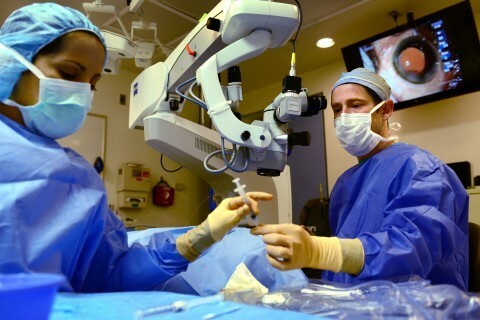 The lawsuit was filed by two ophthalmologists, who alleged Allergan offered business services to eye doctors and optometrists who prescribed Allergan drugs. 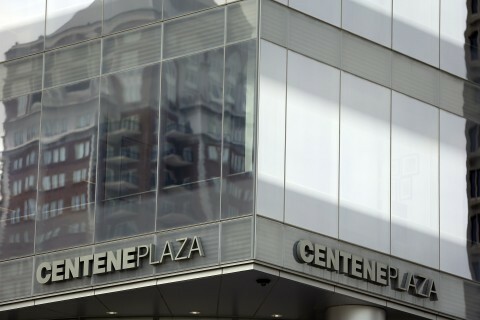 Health insurer Centene Corp. said Friday that the nearly 40 Missouri counties where it will launch coverage on Affordable Care Act insurance exchanges next year include roughly two dozen that would otherwise have been without an insurer. A grab bag of new Maryland and Virginia laws take effect Saturday. Four clinics closed Friday after Iowa passed a defunding plan similar to the one in Senate Republicans’ health-care bill. The American Enterprise Institute will hold an event on health savings accounts on Thursday. The National Academy of Medicine will hold an event on “Opportunities for Improving Outcomes, Value, and Health” on Thursday. The Bipartisan Policy Center is holding an event on solutions to long-term care financing on July 11. The Hill is hosting an event on "The Cost of Caring: Family Caregivers and Tax Reform," featuring Sen. Tammy Baldwin (D-Wis.), Sen. Joni Ernst (R-Iowa), Rep. Dan Donovan (R-N.Y.) and Rep. Michelle Lujan Grisham (D-N.M.) on July 13. Is the GOP considering repealing the ACA now and replacing it later?